It is always important to do double or even triple cleansing to make sure all the face oil and make up residue gone. It is also good to know that this cleansing milk is gentle on my skin, doesn't irritate at all. 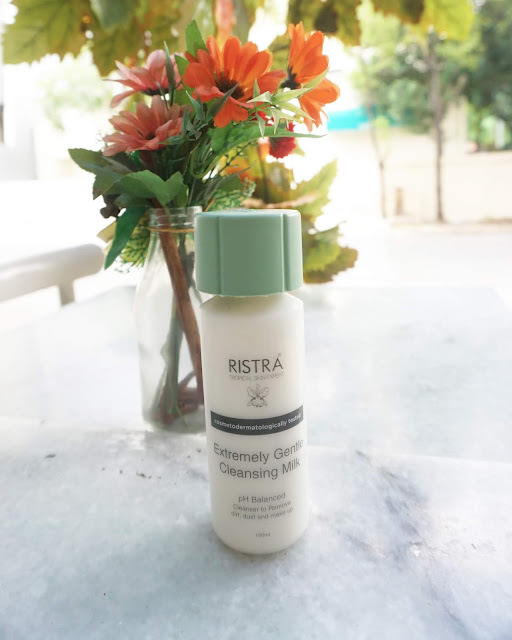 This cleansing milk may have a lil bit thicker texture than the other product but still fine. At the end, your face will feel smooth and not greasy. First thing first, i wash my face with this ph balanced soap that thoroughly remove all the dirt and excessive oil on my face. Always love this kind of soap that doesnt make my skin dry yet still moist, as it also helps to protect the natural acid mantle layer of skin. Good to know that it is suitable for all skin types and already cosmetodermatology tested, finger crossed! 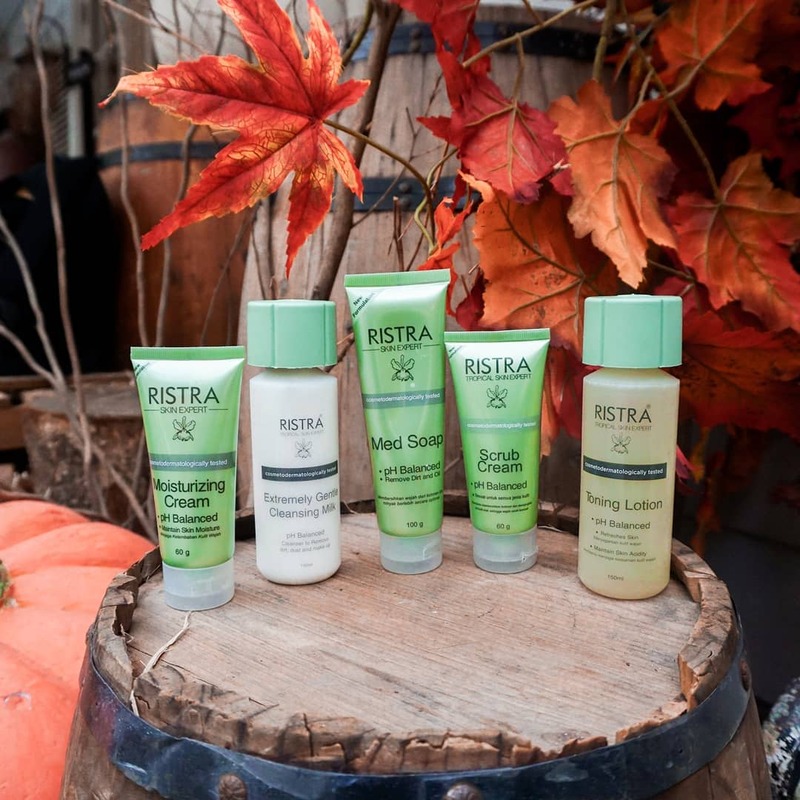 Before stepping into another skin care, it is really appreciative that all the Ristra's skin care is pH balanced and cosmetodermatology tested. You don't need to worry loves! The toning lotion tones my face and doesf its job to refresh the skin. 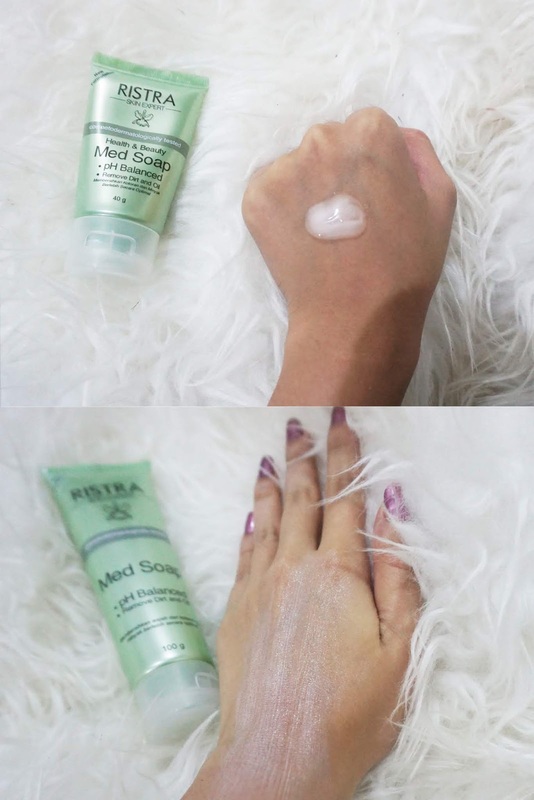 Quite well on my combination skin tough, it is preferable for normal and dry skin. If you love toning skin care that absorbs really quick, this one is suitable for you! What is important is to always have moisturizer on our skin care list. This moisturizing cream from Ristra is not sticky and doesn't leave white cast, which i like about. It contains olive oil which greatly maintain our skin moisture. I wonder how it could be great for normal and dry skin. Don't worry, a single tip you who have more into oily skin types, apply only 2-3 dots of it cause it could cover your entire face and gives ample glow and moisture that your skin needs. 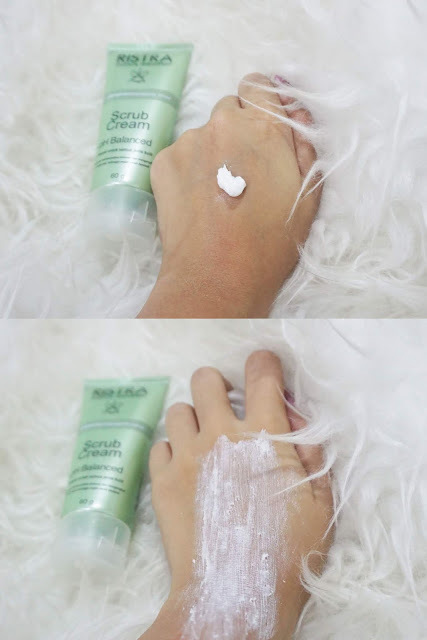 The scrub grain comes with considerably subtle particles that are useful for removing dead skin cells, excess oil, and dirt that clog the pores. Yes, double function as a peeling cream and deep cleanser. Definitely makes my skin smooth and bright after application. I suggest you to use it 1-2 times a week for maximal result. 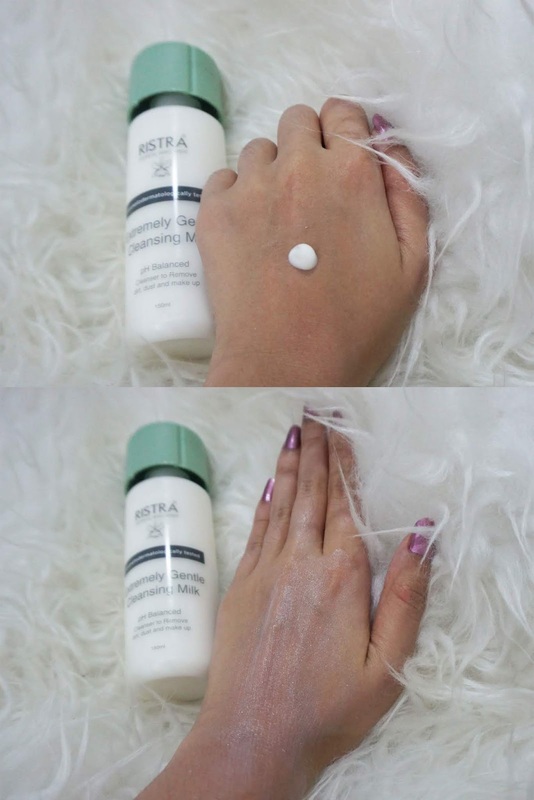 So glad that i actually just knew that Ristra also has sun protection in the form sun care which contains spf 17. The texture is creamy yet it doesn't feel heavy on the skin. Good part is, the absorption is quick and blends in my make up well. 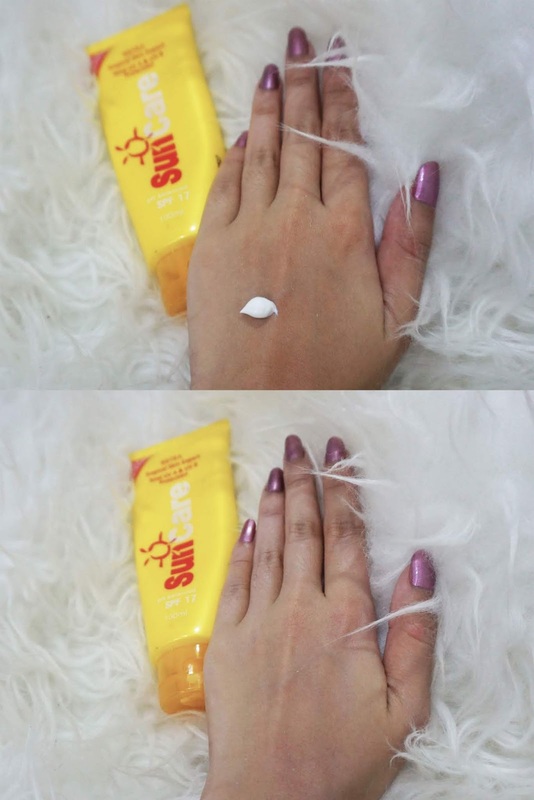 In contrary what i guessed about this white creamy sun care, this one doesn't leave any white cast, love! 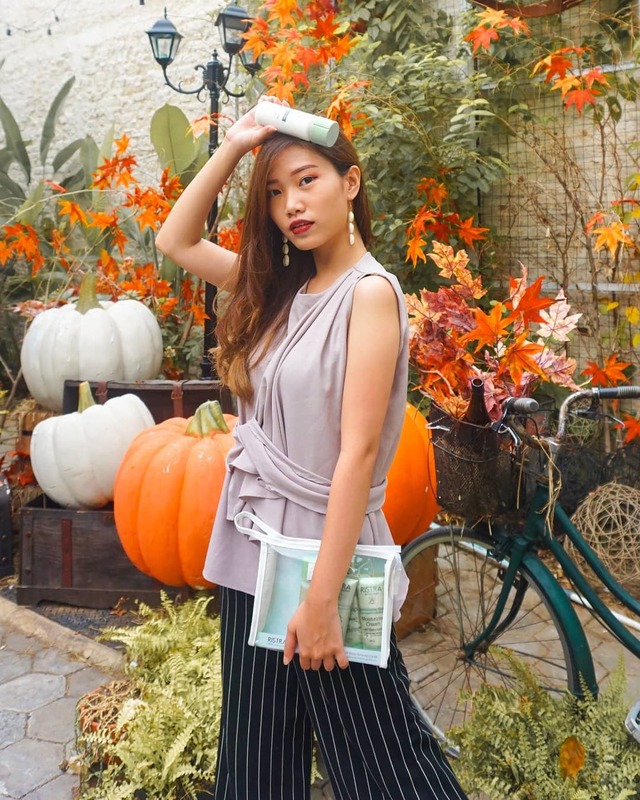 If you find sun protection is essential, this one is a good start like really!